Stats for our Indian Catering and Weddings this year! Jane and I have been analysing this year’s Indian catering events so far and we have some interesting numbers and facts to share with you. Below are the Top 5 canapés and Top 5 mains from all our Indian catering events and weddings so far this year. Of the canapés, our Mini Aloo Tikki Channa is the winner. This dish was created by our executive chef years ago and ever since has come out as the best seller. An excellent canapé! In one bite you get all the tastes and flavours of Aloo Tikki Channa as it is made on the streets of Delhi! Of the 5 mains the winner is the Achari Lamb which again leads the pack year after year; it’s absolutely delicious. Hope you all get the chance to try the food at an event we are catering at or if we’re lucky enough to cater for you! 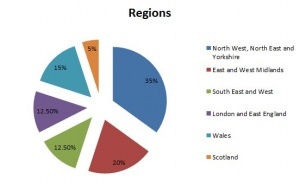 We have also analysed where in the UK we have been carrying out Indian catering events. Taking a look at the graph below you will see that most of our events take place North of England. 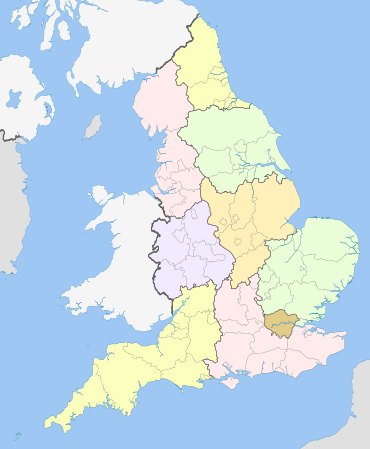 This covers Manchester, Liverpool, Leeds, Newcastle, York and More. Of all the Indian catering we do, the big surprise is Scotland where we were catering only 5% of our events. That is a real shame because I love Scotland. I even spent Christmas in Edinburgh last year which was amazing. The Edinburgh Christmas markets were a lot of fun and my son had a blast. I’ve also visited Glasgow where we have catered for Asian events. Speaking to the team; we are going to try and make a push in Scotland and get more events to showcase our food north of the border. So far we have 1 event booked next year in Glasgow. It’s an Indian wedding for 400 people, so should be a lot of fun; but we want more! That’s all for this blog post everyone. Oh, before I go. Here’s a pic to get the taste buds going. I had some amazing Sashimi over at Umezushi in Manchester recently. 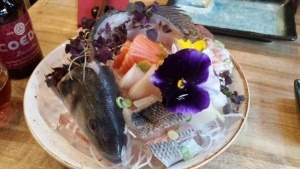 It’s the freshest tasting Sashimi I’ve had in a long time. It was delicious and I’ll be going back soon.